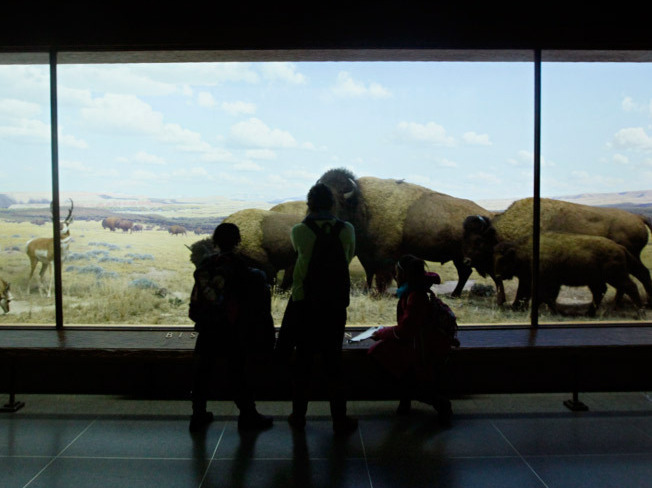 In The Background: Art You May Never Notice Why that unassuming museum art — which you'll find behind taxidermic bison and birds — deserves a closer look. ...to really motivate and generate concern, it's gotta be based on data, but you've got to touch the heart and passion of the person. You've probably never heard of painter Fred F. Scherer. 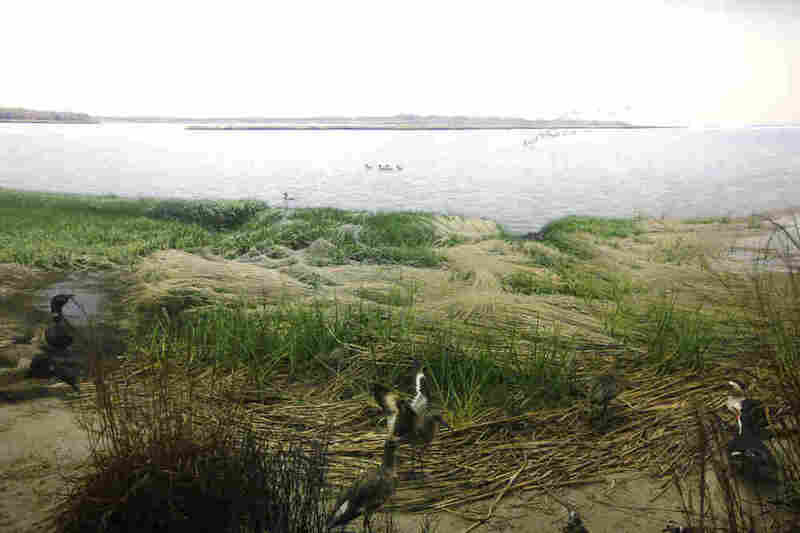 If you've ever been to the American Museum of Natural History (AMNH) in New York City, though, you may have seen his paintings — probably without realizing it. Scherer died at age 98 a few weeks ago. His art — those big murals you see behind taxidermic animals in museum dioramas — deserves a closer look. We visited the AMNH to photograph some of the installations containing his paintings, and spoke with Stephen C. Quinn, who recently retired as an artist from the museum, and knew Scherer well. 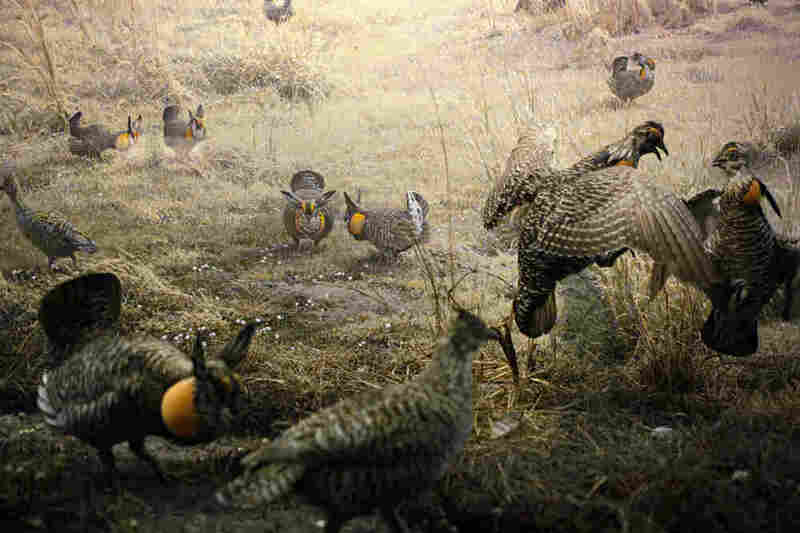 "Fred worked at the museum at the golden age of diorama production," Quinn says. 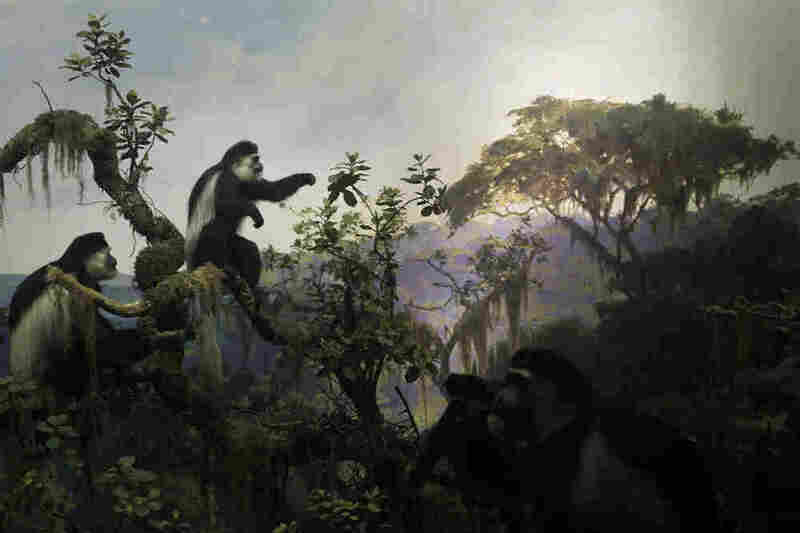 "He started at age 19 and worked as an apprentice on the famed Mountain Gorilla diorama." 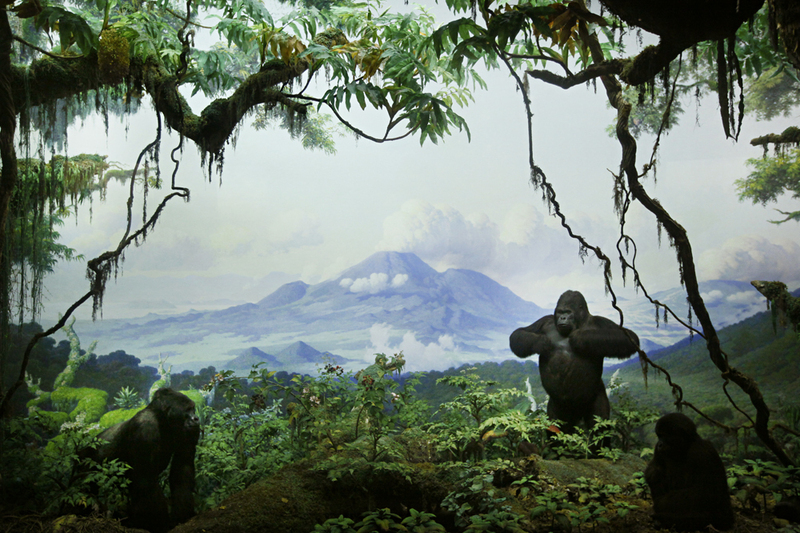 Mountain Gorillas, one of the first dioramas on which Fred Scherer apprenticed, completed in 1936. Most of Scherer's paintings were created between the 1940s and '60s — at a time when city-dwellers may have had little access to nature. 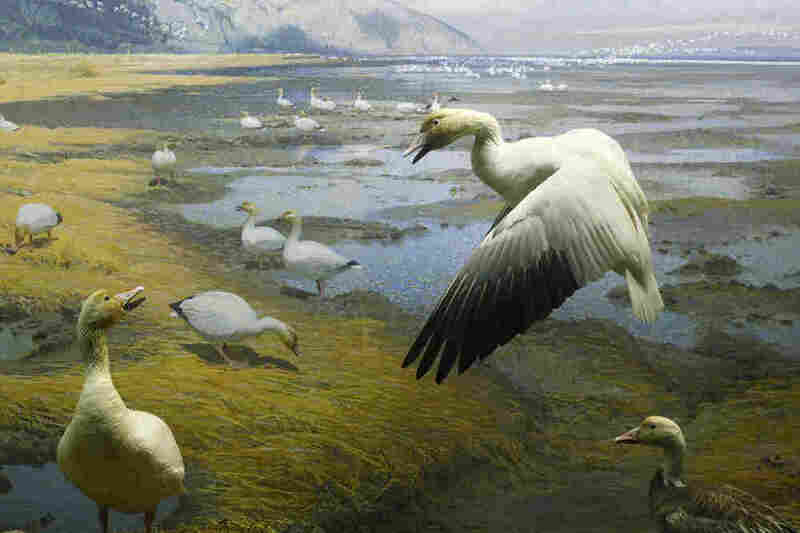 Museum artists like Scherer worked to bring nature alive indoors. According to Quinn, Scherer was one of many working in this genre that went back decades — "to a time that preceded really good photography." 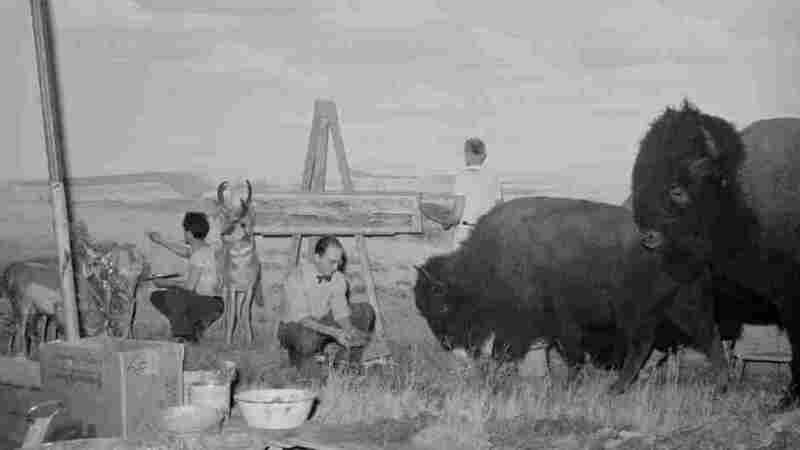 Around the turn of the last century, Quinn says, "it's safe to say that people saw animals and nature as a vast resource that could never run out." 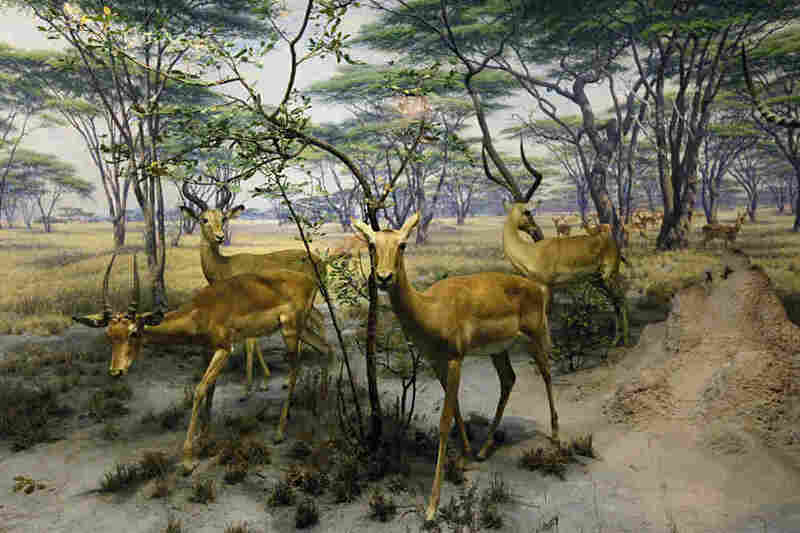 But with the Industrial Revolution underway, and the crowding of city centers, "the only way to really to connect people with the wonder of nature would be to recreate it inside the museum — and the diorama was the medium of choice." In other words: To get people to care about nature, someone would have to bring nature to people. 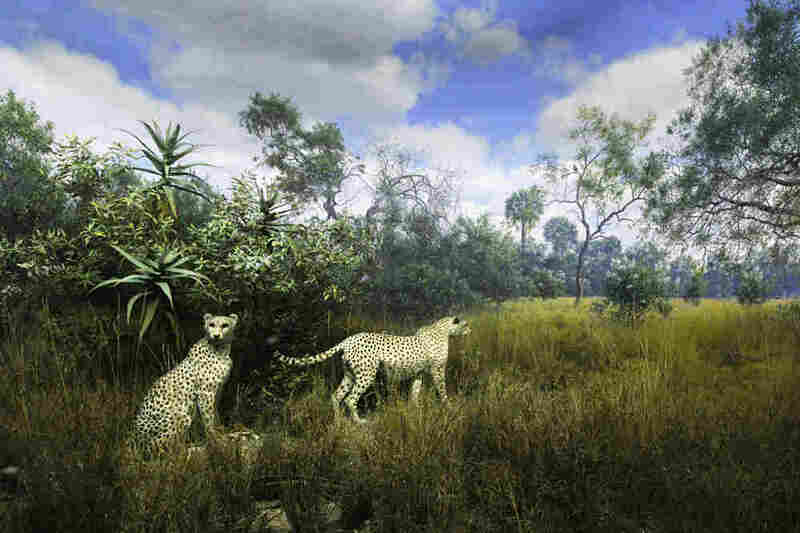 That's when museums as we know them today began to spring up. "No longer just the collections of wealthy travelers," Quinn says, but institutions with intentions to teach science and an appreciation for nature. Field work was an important practice not only for scientists, but also for naturalist artists like Scherer, who "worked directly from the landscape to interpret values and light and shadow," Quinn says. "So he was very much a very academic and renaissance man in what he understood about art and nature." Fast-forward to today: Are these paintings out of vogue? Do museum artists still exist? Is the original mission of bringing nature "to the people" more easily accomplished with photos and videos? Fred F. Scherer, left, and James Perry Wilson, center, paint the background for the American Bison/Pronghorn antelope diorama in 1942. 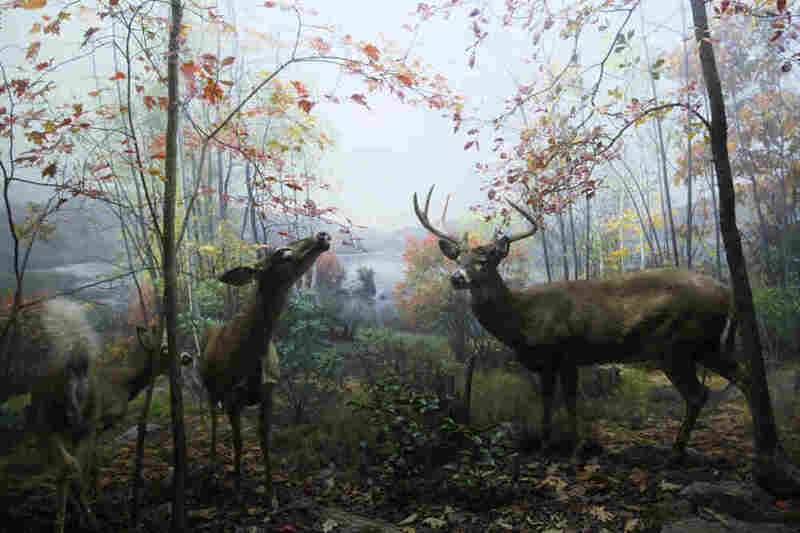 "You can look at the great landscape and wildlife painter of the past," Quinn says, "and there's something in their art that you can't find in the new generation of artists. Because it comes not from a technical process, but it really comes from the heart and soul of the individual being so in love with nature — that their work is imbued with that nature." "Facts are interesting and important," Quinn says, "but ... as these early curators, artists and scientists realized, to really motivate and generate concern, it's got to be based on data, but you've got to touch the heart and passion of the person." 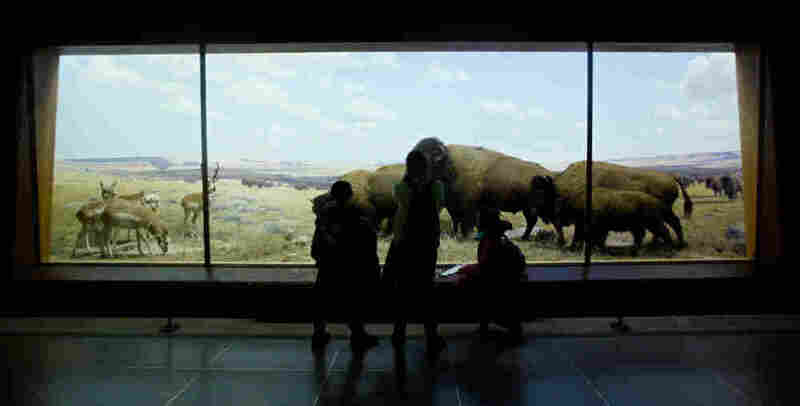 Visitors to the American Museum of Natural History look at a diorama for which Scherer painted the background decades prior.